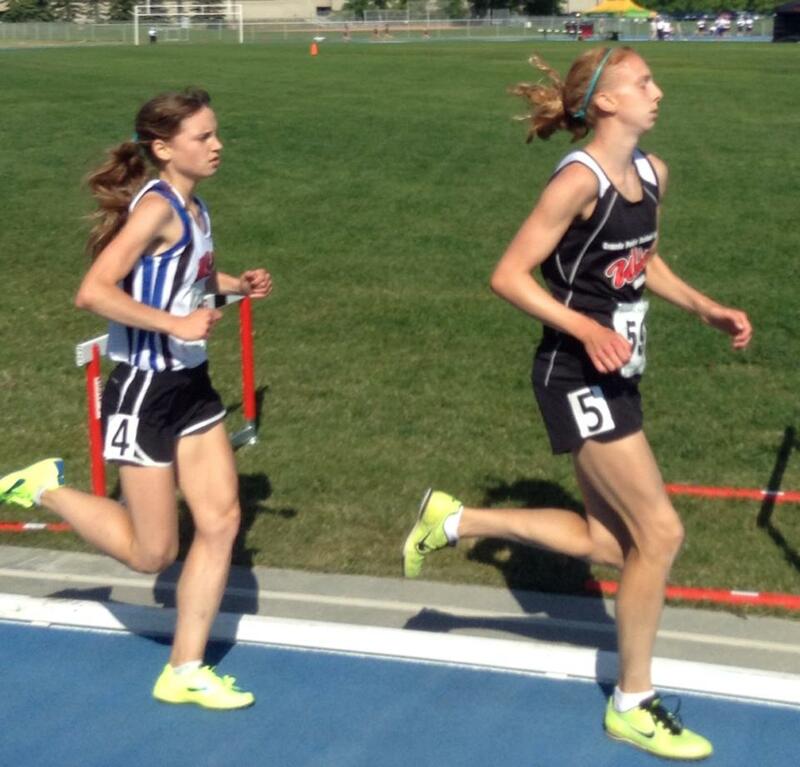 Wolves Athletics Club runner Mirelle Martens finished off her track season in style on Sunday, winning the Junior Women’s 3000m title at the 2014 Athletics Alberta Provincial Outdoor Championships in Sherwood Park. In a replay of last month’s ASAA Provincial High School 3000m Senior Womens race, Martens and St Paul’s Nicole Kitt separated themselves early from the filed and ran stride-for-stride for 2800m. Martens superior kick was again the difference as she stopped the clock in 10:31, 3 seconds better than Kitt. Martens time was a new personal best and meet record. Also on Sunday, she contested the Junior Women’s 800m, finishing 6th in a personal best time of 2:24. Martens has committed to GPRC for this fall where she’ll do double duty as both a x-country runner and mid-fielder for the Wolves Women’s Soccer team. While the track and field season is over for local junior and senior athletes, youth and midget athletes are 1.5 weeks away from the Alberta Summer Games in Airdrie, July 24 to 27. 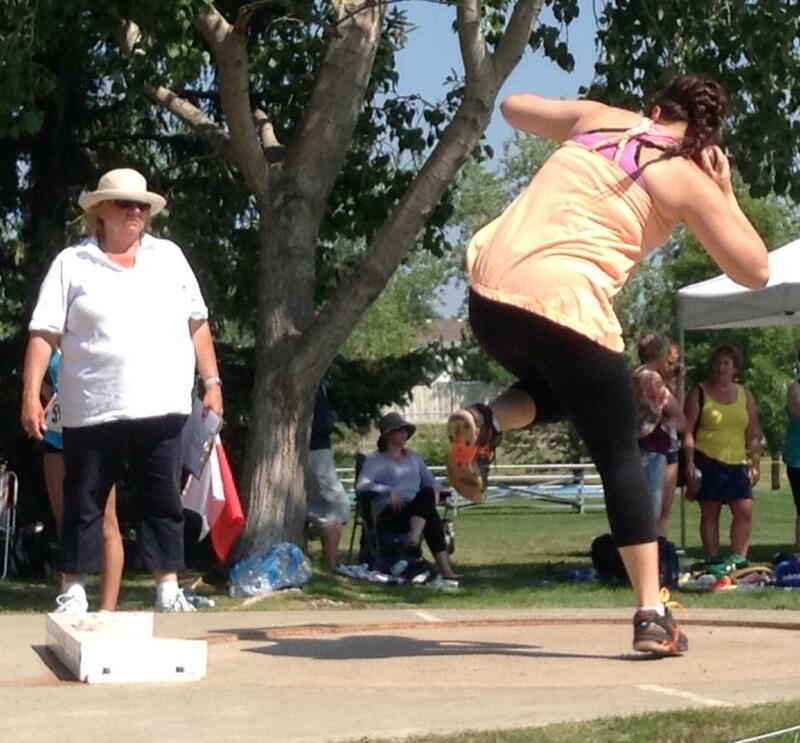 This entry was posted in Outdoor Track and Field, Uncategorized and tagged 2014, Athletics Alberta, GPRC, Grande Prairie, mirelle martens, Sherwood Park Track Classic, Track and Field, Wolves Athletics Club. Bookmark the permalink.